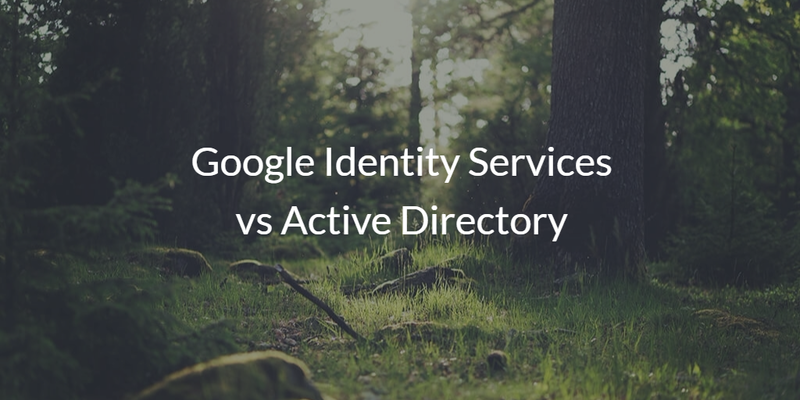 Is Google Identity Services a replacement for Microsoft Active Directory? The long answer, however, is a powerful one. It revolves around the concept of a cloud identity management solution working in conjunction with G Suite. With a modern IDaaS solution, you can actually replace Active Directory and shift virtually your entire IT infrastructure to the cloud. Historically, Microsoft Exchange and Active Directory were a packaged deal. Google changed all of that with Google Apps, effectively eliminating Exchange, Office, and Windows file server. But Active Directory remained in IT organizations. Over time, Google Apps started to take away significant market share from Microsoft. In fact, it is estimated that Google Apps now has over five million business customers. Microsoft responded with their own cloud productivity platform called Office 365. As a result, the playing field leveled between G Suite and Office 365. The standoff is now Google Identity Services vs Active Directory. Unfortunately, it’s not really a fair fight. We are really talking about apples and oranges here. 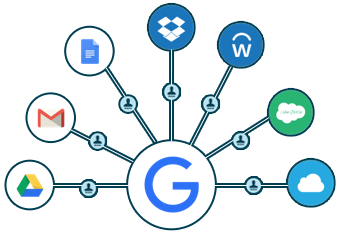 Google Identity Service is a user management platform for Google Apps and a single sign-on platform for a select few web applications. Active Directory, on the other hand, is a full-blown directory service that lives on-prem and focuses on Windows. While AD does integrate with G Suite via GADS (G Suite Active Directory Sync), Google Identity Services don’t support authentication of Windows laptops or desktops, and Windows-based applications. Think of G Suite directory as being focused on Google services in the cloud. As a result, Google Identity Services doesn’t really fit the bill of being a replacement or alternative to Active Directory. But Active Directory doesn’t enable IT organizations to shift to the cloud and eliminate their on-prem directory. The promise of a combined solution – from the cloud and cross-platform – is potentially a great remedy to complement G Suite and even Office 365. There’s a modern approach to cloud identity management that can solve the issue for IT organizations. Called Directory-as-a-Service®, the IDaaS platform seamlessly integrates with G Suite and also handles the on-prem directory service pieces. This all happens from the cloud. 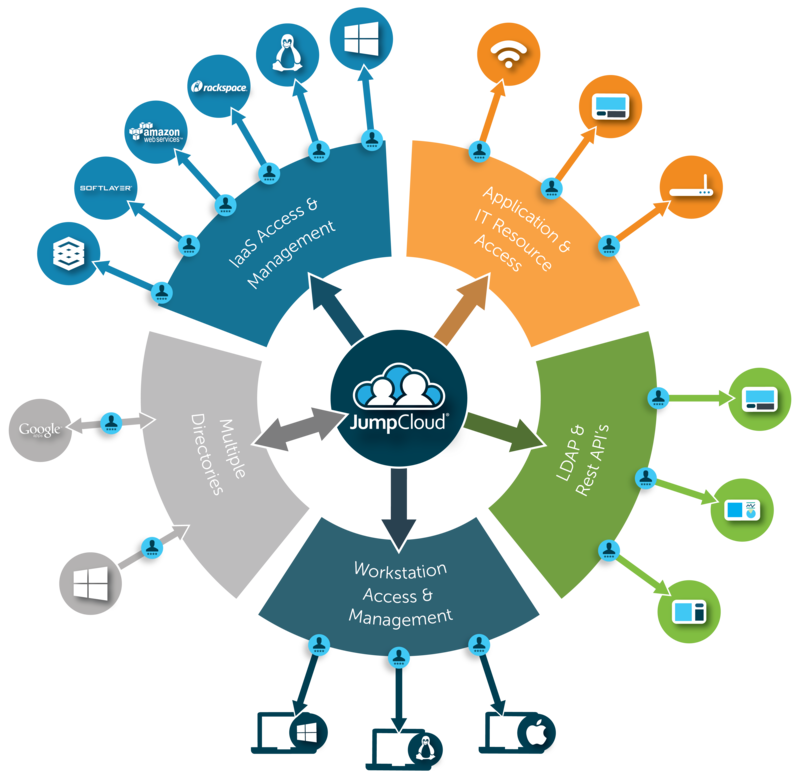 As a cloud directory service, the platform securely manages and connects user identities to the IT resources those users need. These resources include Mac, Windows, and Linux systems, cloud servers from AWS or Google Cloud (or others), web applications, including Salesforce, Box, and Workday, on-prem LDAP-based applications, and WiFi networks. The seamless integration with G Suite enables IT organizations to leverage the G Suite credentials as the core credentials for a user. This helps reduce friction and frustration on the part of end users and also brings an element of True Single Sign-On™ capabilities that have been available for all Windows networks from Active Directory. Google Identity Services – really G Suite directory – isn’t a replacement for Active Directory. Additionally, Active Directory isn’t solving the problem for cloud-forward, mixed-platform IT organizations. 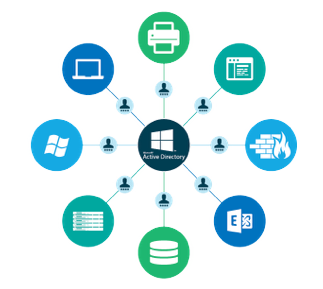 With Directory-as-a-Service, IT organizations can move to the cloud and still securely manage user identities. If you would like to learn more about the G Suite vs Office 365 and Google Identity Services vs Active Directory battles, drop us a note. Both are interesting and there’s a great deal that a neutral, third-party provider can offer in this situation. Take a look at our Directory-as-a-Service platform and see how it can help you move completely to the cloud. Sign up for a free account and your first 10 users are free forever.